The Baby-Friendly Hospital Initiative (BFHI) defines global standards of optimal care for appropriate breastfeeding and mother-child bonding. Participating hospitals undergo a process of planning, training, and organizational and policy changes to achieve 10 steps. When they meet the 10 required steps, the hospital is certified "Mother and Baby Friendly." 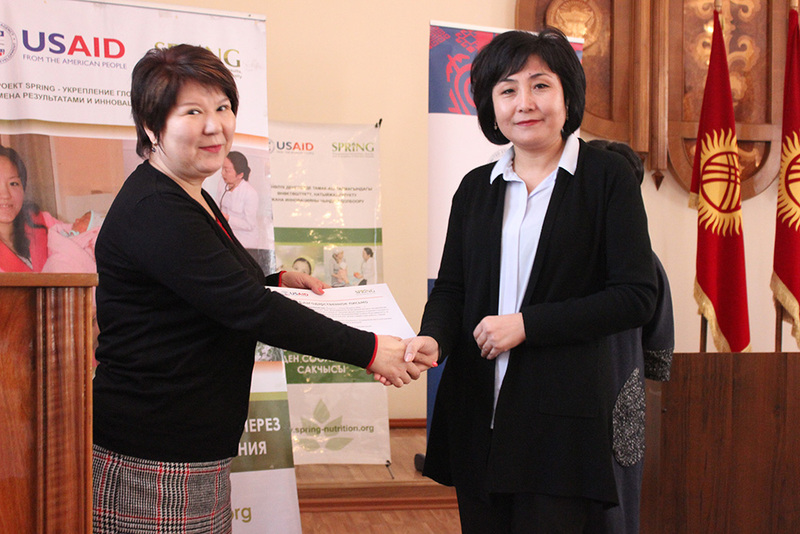 Funded by USAID, SPRING/Kyrgyz Republic has conducted BFHI trainings for 754 health providers and managers in Jalalabad and Naryn oblasts and provided technical assistance and educational materials to 27 health facilities working to earn BFHI certification. 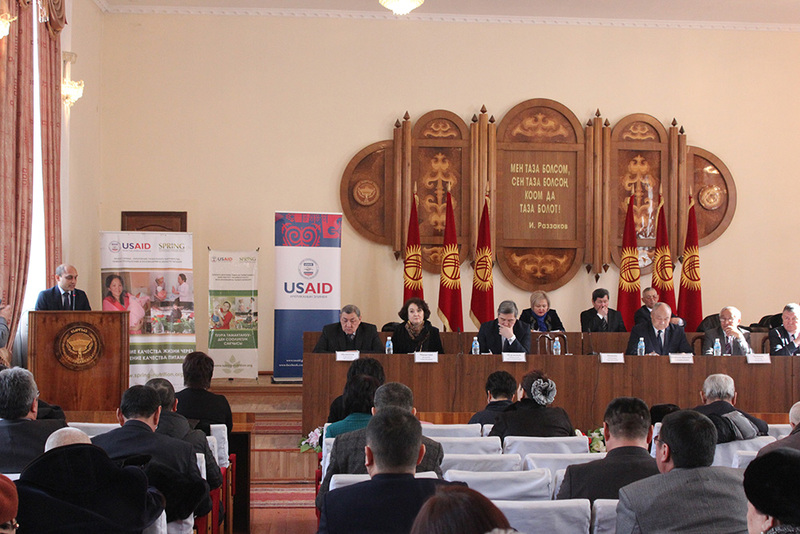 On December 20, 2017, USAID representatives attended a Ministry of Health (MOH) collegium, where an independent national review committee assessed reports and scores of health facilities in Jalalabad and Naryn oblasts and certified six SPRING-supported health facilities as "Mother and Baby Friendly." 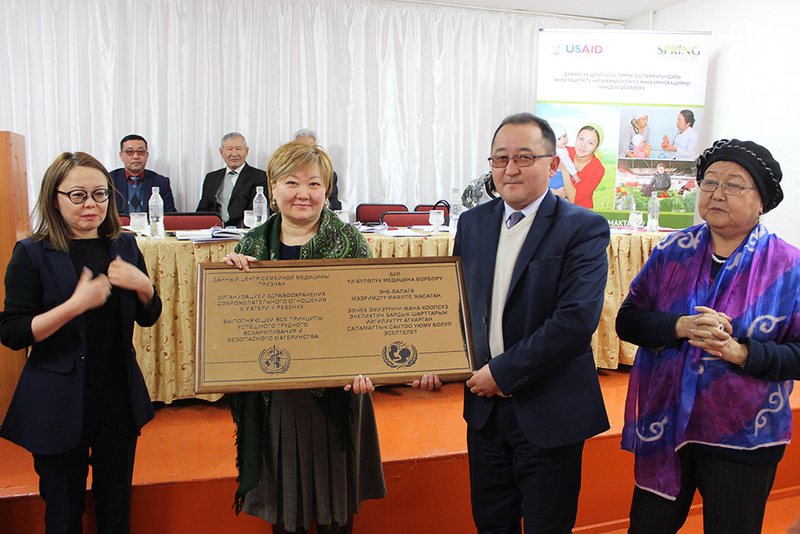 USAID Health Project Management Specialist, Aisha Zhorobekova, Deputy Minister of Health, Amangeldi Murzaliev, and oblast government representatives attended the BFHI award ceremony for three facilities in Jalalabad on January 31, 2018. 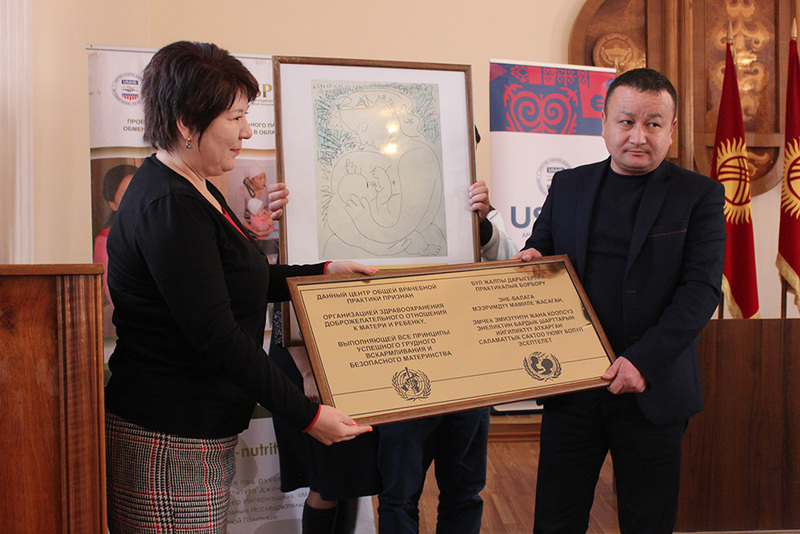 On the same day, MOH and oblast administration officials in Naryn awarded BFHI certificates to three facilities. 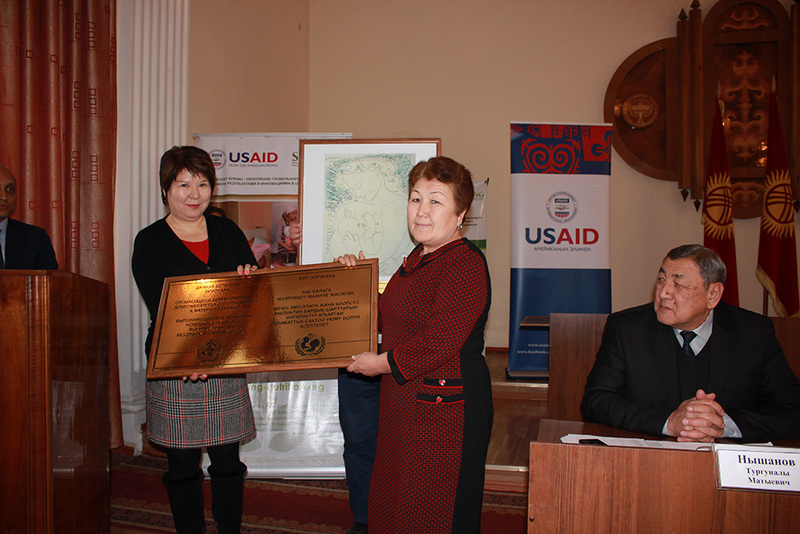 So far, 17 SPRING-supported health facilities have earned BFHI certification. 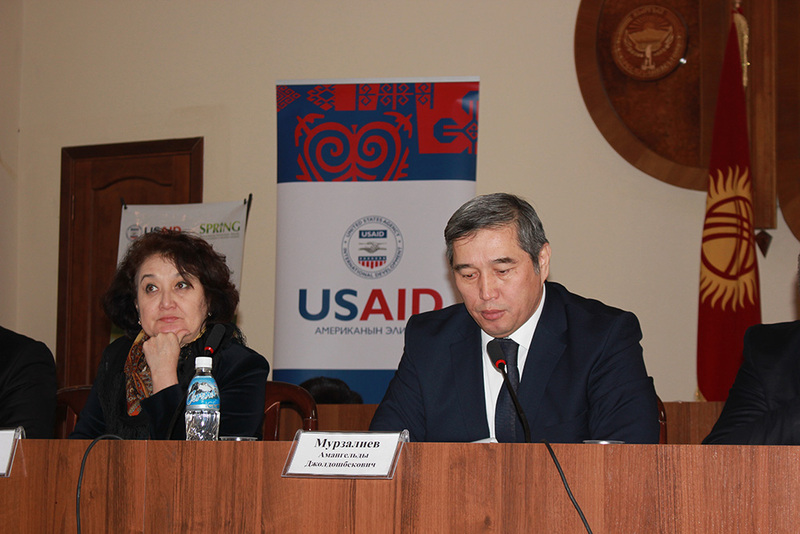 SPRING/Kyrgyz Republic will continue to support improved care for mothers and newborns.